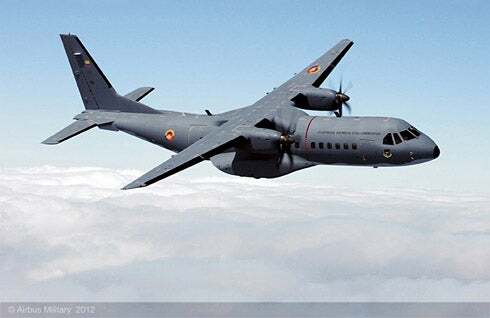 The Colombian Air Force (FAC) has placed an order with Airbus Military for the delivery of an additional EADS CASA C-295M military tactical transport aircraft. The contract will expand the number of C295 aircraft operated by the Air Force’s 811 Transport Squadron for troop transport and humanitarian assistance missions to five. Antonio Rodriguez-Barberan, Airbus Military Commercial senior vice president, said the repeat contract demonstrates customer’s satisfaction with the aircraft. Powered by two Pratt & Whitney PW127G turboprop engines, the C-295 is a tactical military transport aircraft designed to perform tactical airlift, search and rescue (SAR), and maritime patrol and environmental surveillance missions. A stretched variant of the CN-235 transporter, the C-295 features a high-wing, rear-loader design which enables the easy loading of mission pallets, passengers, cargo, and litters for medical evacuation (MEDEVAC), communication and logistic duties or paratrooping operations. The aircraft is equipped with self-protection equipment, such as cockpit armour, radar warning receiver (RWR), missile approach warning system (MAWS), laser warning receiver (LWR) and chaff/flares dispensers. Colombia took delivery of the first two aircraft in June 2008, while the third and fourth aircraft were handed over in November 2008 and April 2009 respectively. Airbus has to date delivered 86 C295 aircraft out of a total 114 ordered aircraft to 13 different operators worldwide, including Algeria, Brazil, Chile, Egypt, Finland, Jordan, Poland, Portugal and Spain. Final assembly of the aircraft is currently being performed at the company’s San Pablo facility in Seville, Spain, and is scheduled for delivery in February 2013, as reported by Flight Global. Image: A previously delivered C295 aircraft of the Colombian Air Force. Photo: courtesy of Airbus Military, 2012.